TIPP CITY, Ohio, Feb. 10, 2014 (SEND2PRESS NEWSWIRE) -- Producer and musician Donnie Reis of Twelve3south Studio in Tipp City, Ohio is set to join up-and-coming singer/songwriter Caroline Glaser for a three-week tour of several Midwest and Mid-Atlantic states, including stops near Chicago, Boston, and New York City. DAYTON, Ohio, Feb. 10, 2014 (SEND2PRESS NEWSWIRE) -- With Valentine's Day approaching, our thoughts turn to lovers, yet no love is more enduring than the love that has lasted a lifetime. After spending a lifetime together, couples that have been separated by the chasm of the nursing home suffer the serious medical consequences of a literal broken heart. 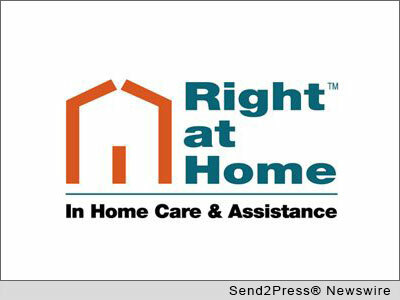 For nearly a decade, Right at Home - Dayton In-Home Care and Assistance has been keeping these loves together in their homes, supporting each other and spending time together, sometimes the last precious moments of their lives. MONUMENT, Colo., Feb. 10, 2014 (SEND2PRESS NEWSWIRE) -- So many books, so little time. More and more people are finding that sifting through thousands of e-reader book titles is proving to be not only time consuming, but less than personally satisfying too. Dr. LeAnna DeAngelo, a psychologist, may have the answer to alleviate these problems through her newly-launched business, Biblio Concierge. DENVER, Colo., Feb. 10, 2014 (SEND2PRESS NEWSWIRE) -- Therapy Partner, a national leader in providing online, streamlined and clean technology for the needs of clinicians in private practice (psychologists, psychiatrists, and therapists), has launched 3.0 a progressive, single device application, for complete practice management. Therapy Partner 3.0 has a user interface that is intuitive and is driven by 'Book-Bill-Document' proprietary technology; streamlining the daily tasks that clinicians are faced with in business. MINNEAPOLIS, Minn., Feb. 6, 2014 (SEND2PRESS NEWSWIRE) -- As the United States enters the critical mid-year election season with close outcomes all but guaranteed, Citizens for Election Integrity Minnesota (CEIMN) announces a new and concise resource, 'Recount Principles and Best Practices,' available for free. SAN FRANCISCO, Calif., Feb. 6, 2014 (SEND2PRESS NEWSWIRE) -- The Ian Ross Gallery is pleased to bring you its first two-person show for 2014. As a gallery committed to showing the work of local talents, we are very excited to be showing prolific San Francisco artist John Waguespack and introduce rising star Katja Tapia, both new to the Ian Ross Gallery. This joint exhibit brings together two talented forces that work in different styles and techniques. NEW YORK CITY, N.Y., Feb. 5, 2014 (SEND2PRESS NEWSWIRE) -- As the world's leading data recovery solution provider, EaseUS Software always devotes itself to provide its users efficient and easy ways to rescue their important data when data loss disaster strikes. Among its various products, EaseUS MobiSaver is the most popular one. It is a powerful data recovery software designed especially for iOS users to recover their lost data from iPhone, iPad and iPod touch. 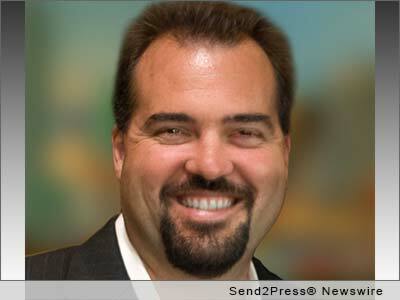 SAN DIEGO, Calif., Feb. 5, 2014 (SEND2PRESS NEWSWIRE) -- MCT Trading, Inc. (MCT), a recognized leader in mortgage pipeline hedging and risk management services, today announced that its COO, Phil Rasori, is scheduled to present at the 11th Annual Eastern Secondary Market Conference. DULUTH, Ga., Feb. 5, 2014 (SEND2PRESS NEWSWIRE) -- EPIC (Edgewood Partners Insurance Center) a retail property, casualty insurance brokerage and employee benefits consultant, announced today that it has added Don Atkinson to the risk management consulting practice in their Southeast Region, The McCart Group. Atkinson brings 29 years of experience in risk management and insurance sales and client relationship management to The McCart Group. 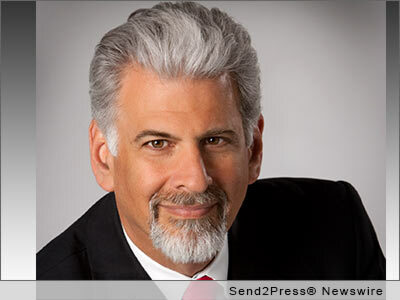 TROY, Mich., Feb. 5, 2014 (SEND2PRESS NEWSWIRE) -- United Wholesale Mortgage (UWM), the nation's largest wholesale lender, today announced that it rolled out UWM Track, which assists brokers in providing current status on loans to REALTORS(R). The efficiency and visibility the solution offers eliminates communication issues and facilitates the broker's ability to forge stronger relationships with REALTORS(R), thus increasing business. HIGHLANDS RANCH, Colo., Feb. 4, 2014 (SEND2PRESS NEWSWIRE) -- Adoptions of older children and teens are often called 'rescues' because kids 'age out' at 16 Years-old. These children usually wind up homeless, with bleak futures. Many become addicted to drugs. Project One Forty Three, Inc., a non-profit organization presently working with orphanages in Ukraine, Latvia and China, pairs these forgotten, hard-to-adopt kids with 'host families' in the United States for 4-6 weeks each summer and winter. DENVER, Colo., Feb. 4, 2014 (SEND2PRESS NEWSWIRE) -- Mortgage fulfillment outsource services expert Titan Lenders Corp. (Titan) announced it has been selected by nationwide distressed asset firm Halo Companies, Inc. (OTCQB: HALN), to retain custody of documents and collateral related to distressed asset purchases for its clients. DENVER, Colo., Feb. 4, 2014 (SEND2PRESS NEWSWIRE) -- Blackstone Holdings, LLC (Denver, Colo.) has acquired the veterinary division of ImageWorks Corporation/AFP (Elmsford, N.Y.). The new company will operate as ImageWorks Veterinary. Continuing the 'Made in the USA' tradition, all operations and manufacturing have been relocated to Colorado. LIBERTYVILLE, Ill., Feb. 4, 2014 (SEND2PRESS NEWSWIRE) -- For the third consecutive year, Healthcare Insights, LLC (HCI), a leading provider of financial management and decision-support solutions for the healthcare industry, has earned a #1 spot in the Best in KLAS Awards: Software and Services, Market Segment Category, Budgeting. FOOTHILL RANCH, Calif., Jan. 31, 2014 (SEND2PRESS NEWSWIRE) -- Quandis, Inc., a leading provider of default management technology solutions, announced it developed Custom Form Builder, a tool that empowers business people with the ability to easily and quickly make changes to complex workflow-driven Web forms. The solution exponentially reduces development time frames and costs for organizations. Worldwide Telecommunications Industry Revenue to Reach $2.4 Trillion in 2019, says Insight Research Corp.
DURANGO, Colo., Jan. 31, 2014 (SEND2PRESS NEWSWIRE) -- The global telecommunications industry continued to advance in 2013 and 2014, but at a slower rate than predicted a year ago, according to a new market analysis report from The Insight Research Corporation. In the U.S., home disconnections and lower business spending contributed to wireline revenue declines at AT&T, Verizon, and CenturyLink, while competition drove slower growth in wireless service revenues at Sprint, Verizon, and AT&T. MONUMENT, Colo., Jan. 31, 2014 (SEND2PRESS NEWSWIRE) -- Classic Gardens Inc., in Monument, Colorado, has recently been credited for taking the missions that many other landscapers simply cannot accept. As a landscape specialist in Colorado, the company has been asked to take care of and - in some cases - fix some pretty 'impossible' situations for some of the largest and most intricate landscaping scenarios in Colorado - one of America's most outdoor and scenic-oriented states. 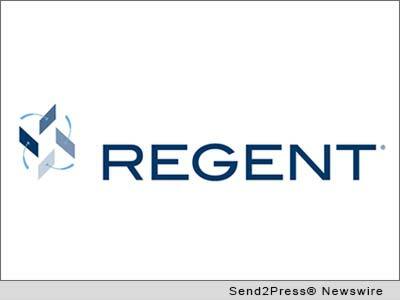 FREDERICK, Md., Jan. 30, 2014 (SEND2PRESS NEWSWIRE) -- Regent Education, the leading provider of financial aid and enrollment management software solutions, is pleased to announce its third consecutive year of triple digit growth. In 2013, growth was fueled by sales of the company's flagship product, Regent 8, to multiple new clients across all segments of higher education.